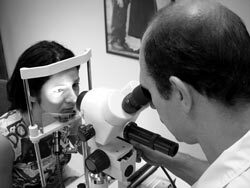 The science of Irisanalysis or Iridology is an accurate and quick way of eliciting health informaiton from the iris of the eye, the coloured portion. 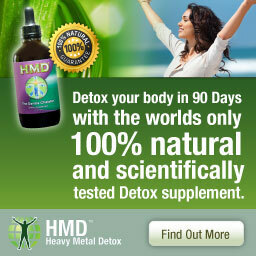 It is used by many health practitioners, including medical doctors in many countries throughout the world. The medical doctor named Ignatz von Peczely (1826-1907) from Egernar, near Budapest, Hungary has proved the basis of the method and proposed his own iris zones projection chart although rather primitive from modern point of view but relatively reliable. The scientist's biographers give rather interesting legend determined the mission of the future founder of modern iridology. While studying in the Viennese University and working in the surgery hospital, Peczely started to investigate the patient's iris changes depending on different diseases. 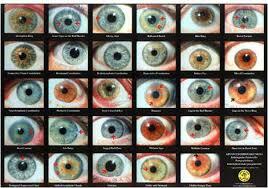 He has found that each part of the body as well as each organ correspond to the determined iris segment. As a result the first iris chart was developed making him a founder of modern iridology. In 1880 Peczely published a book describing principles of diagnostics using iris. The main attention of his work was the location and form of iridological signs. Later he has published a manual on iris diagnostics where he wrote as epigraph that eyes are not only mirroring of the soul but of the body as well. This work was met by icy silence of contemporaries. Another important page to iridology history was added by Swedish pastor N. Liljequist. 'A man can lie but his eyes never lie' was his answer to those who were interested in the reasons of his interest to the iridology. He developed a more detailed iridology chart, working independently of Peczely that was more reliable and better. 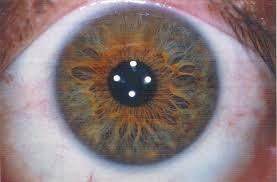 The iris reveals, through changes in pigment and structure, abnormal conditions of tissue in the human body. The anterior of the iris reflexly corresponds, in the systematic organization of its topography, to the major tissue structures the body. For example, each organ, gland and tissue is represented in a specific location in the left or right iris, or both. 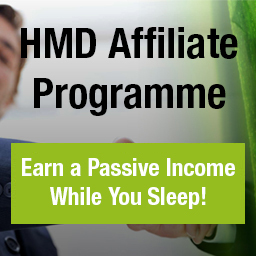 The chart indicated below is self-explanatory. Organs and tissues on the left half of the body are reflexly represented in the left iris, while those of the right half of the body are represented in the right iris. Organs and tissues lying along the centreline of the body, the sagittal plane, appear in both irides, as do bilateral organs. *** Again, this hypothesis is based upon the findings and empirical observations of hundreds of Iridologists. The research of Walter Lang (Die anatomischen und physiologischen Grunglagen Der Augendiagnostik) proposes a set of neural pathways that would account for the physiological eye changes associated with both disease states and abnormal tissue conditions. Lang indicates that afferent autonomic nerve impulses from the various organs and tissues of the body reach the anterior thalamic nuclei of the diencephalon. It therefore acts as a "file cabinet" or storage area on all anatomical conditions. Lang further suggests that this information is transmitted to the hypothalamus, which functions as a central relay and control station of the brain. Nerve impulses from the hypothalamus follow pathways via the oculomotor nucleus and the Edinger-Westphal nucleus to the muscles, stroma and blood vessels of the irides, where they stimulate topographical tissue changes, corresponding to specific organ and tissue changes elsewhere in the body. Lang shows that areas of the iris can be differentiated to correspond to the various organs and tissues by definition that a single iris nerve fiber (over 28,000) controls only 5 to 10 muscle cells as compared to 200 - 300 muscle cells in the extremities. This means that changes reflexed to the iris are highly specific to certain zones. However the neural system organization is the same in all human beings, the same tissue areas of the body will always reflex to the same areas of the irides. The anterior iris, including the anterior epithelium, the stroma, the muscle layer, the pupillary margin, the autonomic nerve wreath (collarette), and the scleral-iris margin undergo specific changes corresponding to pathological changes in specific organs and tissues in the body. *** Again, this hypothesis is based upon findings and empirical observations of hundreds of Iridologists. 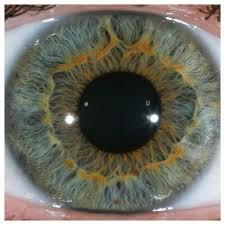 Iridologists have distinguished that the iris changes due to pathological deterioration of body tissue. This shows as a whiteness (acute) in the iris fibers, then an increasing darkness (sub-acute -> chronic -> degenerative) and the depth of iris lesions. In the past, Iridologists have also stated that they have witnessed changes due to reversal pathology (emergence of healing lines.) in the same iris lesions after successful treatment. 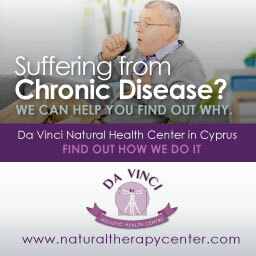 In many cases these findings are confirmed with other commonly accepted diagnostic procedures. It must be emphasized that the pathological condition must be adequately severe to be classified by the standards of western medicine as the classification standards of Iridology are different. The various laboratory tests that are being used to determine the presence or absence of disease are not totally efficient in the assessment of sub-clinical conditions. Acute and sub-acute stages of tissue inflammation can commonly be detected long before other diagnostic methods are capable of finding any health problems with the patient. In a similar manner, when a patient is declared "well" by the standards of Western medicine, Iridology frequently shows a sub-acute condition persisting in the individual. German medical researcher, Walter Lang, has demonstrated that the autonomic nerve fibers from virtually every gland, organ and tissue of the body extend to the thalamus and hypothalamus which monitor and respond to changes of condition in all anatomical structures. These changes of state, Lang suggests, are relayed from the thalamus and hypothalamus through the ophthalmic branch of the trigeminal ganglion to the motorneurons of the iris muscle structure. Changes in the impulses conducted by these motorneurons may be responsible for the changes in the muscle structure of the iris, leading to the gradual separation of iris fibers in the stroma and consequent appearance of the lesions and other markings familiar to iridologist. Lang also points out that the organization of the human nervous system is genotypic, and further postulates that innervation to the iris reliably represents is also genotypic, which accounts to the fact that the iris reliable represents the same organs, glands, and other anatomical subdivisions of the body in precisely the same locations in the irides of all individuals. Inherent weaknesses, inherent strengths and the degree of nervous system sensitivity are shown in the iris, respectively, by the crypts and separations in the trabeculae (the fibres in the iris); by closely knit trabeculae; and by parallel, curved cramp rings concentric with outer perimeter of the iris, all located in the ciliary zone outside the autonomic nerve wreath. 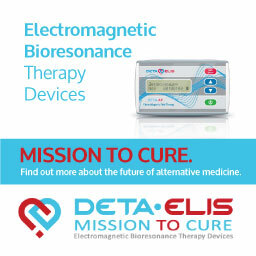 *** Scientific research has demonstrated that the posterior pigment epithelium and dilator muscle of the irides are embrylogically derived from neurectoderm, the tissue from which the central nervous system (brain and spinal chord) are also derived. 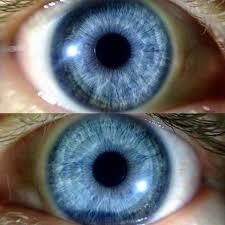 Iridologist find that it is this similarity that reflects in the iris the genetic inheritance of the individual. It is assumed that the specific configuration and development of the dilator muscle somehow determine the radial arrangement and spacing of the vascular arcades (trabeculae) in the stroma above it. The fact that crypts and separated trabeculae represent inherent weaknesses in no way conflicts with the fact that the same structures allow aqueous humor to circulate through the irides. WHAT IS THE ACCURACY OF IRIS ANALYSIS? The accuracy and reliability of iris signs as reflex indications of tissue pathology in the body have been confirmed in many thousands of instances by: laboratory tests, X-rays, and other commonly accepted diagnostic approaches. Recent research from clinical trials in South Korea from Aju University have shown that the validity of using iridology for predicting diseases ranges between 71.4% and 100% accuracy. 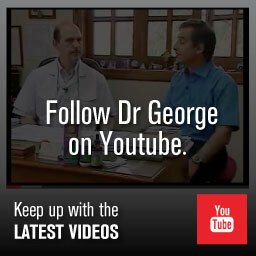 Dr. Georgiou is a qualified Iridologist and a member of the Guild of Naturopathic Iridologists, UK. He is also an active member of the Canadian Neuro-Optic Research Institute, Canada where he works closely with Prof. Bryan Marcia, its founder and holder of a Ph.D. in Iridology. 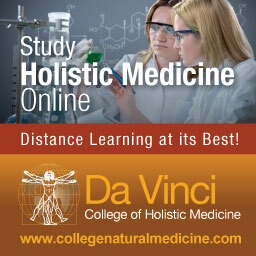 Anyone interested in studying this fascinating subject go HERE.